Launching an auto dealership is the dream of many entrepreneurs across the U.S. If you’ve set on your mind on realizing it, we’ve prepared the right resources to help you get started with ease. You can learn the nitty-gritty details of how to launch your business operations, obtain needed insurance and bonding, and meet licensing requirements that apply in your state. In the sections below, we’ve summarized the main points that you have to cover to start a dealership. For an extended overview, make sure to download the free ebook How to Become an Auto Dealer. It contains in-depth information about the process of launching an auto dealership in the U.S.
Below, we’ve listed the most important and common steps to getting your auto dealer license. Some requirements might vary depending on your state. In every state, you have to meet different criteria to register your business entity. This is a necessary step before you can apply for an auto dealer license. You will need to select a business structure and a name. Then, you have to obtain a certificate of incorporation or another state-specific form of proof that you have legally set up a business. You will also have to get an Employer Identification Number (EIN) from the IRS. in some states, you may also need to obtain a state tax ID. In many states, auto dealers are required to undergo specific training that prepares you to work in the industry, giving you a thorough background in the legal and business framework. At the end of the course, you have to successfully pass an examination that proves your suitability for the job. Typically, you have to obtain a proof of ownership or lease for the business location that you will operate in. You also need to meet specific zoning requirements set by local and state authorities. Among the requirements that your location has to meet are having a certain size, displaying a business sign, having a phone number, and working hours. Most states require that you obtain insurance for your activities as an auto dealer before they can issue a license for you. The common policy that you have to get is general liability insurance covering bodily injury, accidents, and property damage. You need to check with your state authorities what limits are necessary in your case. You have to pass a criminal background check prior to launching your dealership. This typically involves providing fingerprints. In case you have previous breaches of the law, in your capacity of an auto dealer, this may hamper your current application. One of the main licensing requirements that most states impose is providing an auto dealer bond. This is a form of security that protects the state and your customers against potential illegal actions on your side. Bond amounts vary across the country and range from around $10,000 to $300,000. You have to pay a fraction of the required amount, called the bond premium, which is set after a thorough examination of your personal and business finances. Once you have prepared all the necessary documents required for the license type that you are applying for, you need to submit your complete application to the licensing body in your state. You have to fill in a detailed form that contains thorough personal and business information. In many places across the U.S., the state DMV will require an inspection of your business location prior to issuing a dealer license. This may be needed before or after you file your licensing application. There are application and/or licensing fees you have to cover when applying for a dealer license. In the most common case, they range between $100 and $300 per year. However, you have to see the exact requirement in your state. Most states require auto dealers to provide proof that they own or have rented a physical business location. In some cases, you also need to have enough space where a certain number of vehicles can be displayed – a lot. Typically, state authorities also set requirements to have a visible business sign, a landline, an office space, and other similar specificities. An option to start a dealership without a lot is to become a contracted agent of a licensed auto dealer, which is possible in a number of states. In this case, you will operate as a sales representative or a dealer with auction access under another dealer and you would not be viewed as a separate business unit. The licensed dealer will be the one taking care of meeting the state licensing requirements regarding the size of the vehicle lot and the whole business location. Another way to go about starting a dealership without a lot is to select a state where there is no clear requirement to have a lot for vehicles. Even though there may be a criterion to have a business location, which means you cannot work from home, this can be an office only if there is no particular mentioning of a lot. In many states, such as California, Texas, and Colorado, a lot is not specifically noted in the list of licensing requirements. In Missouri, for example, you need to have a display area which can be inside your business location but not necessarily a lot. Prior to launching your dealership, you need to carefully see the exact requirements in your state and thus see what options the legal language allows. If you are wondering how to get a car dealer license for car auctions, the answer will vary depending on where you are located in the country. The rules differ because every state sets its own licensing classification, such as a new car dealer, a used car dealer, auction dealer, and many more. The types of licenses allow you to engage in different activities in the different states. In some states, you will need to obtain a separate auction license if you want to sell and buy vehicles at auctions. Some examples include Texas, Wisconsin, and Arizona, among others. In other places, you may be allowed to conduct such operations under another license type that you have already obtained. An illustration of this is Florida, where wholesale dealers can sell and buy at auctions. In the state of Washington, you are allowed to auction vehicles if you have a new or used cars dealer license. In other states, there are also separate rules for auction dealers and wholesale auction dealers. In any case, you will be required to meet a list of licensing requirements as the guide above details. Similarly to car auction licensing, if you want to sell used motor vehicles, the rules that you have to comply with differ depending on the state in which you are based. How to get a used car dealer license will vary based on the license classification adopted by your state licensing authorities. In some states, if you obtain a motor vehicle dealer license, this gives you the right to sell both new and used cars. For example, in Illinois, the franchised dealer license allows you to work with both new and used vehicles. However, in many states, you need a separate license for selling used cars. Such examples are Arizona, California, Georgia, and Texas, among others. Typically, new vehicle dealers are also called franchised dealers, while used car dealers are in a different license category. Whichever option is applicable in your state, you will have to undergo a licensing procedure similar to the one outlined above. You can expect there will be variations between the requirements for franchise dealers and those for used car dealers, so make sure to check with the licensing authorities. To learn all the details, make sure to check out our How to Get a Used Car Dealer License guide. The wholesale dealer license is among the most popular license types across the U.S. You can obtain this license type in states like California, South Carolina, New York, Maryland, Texas, Wisconsin, Arizona, and many more. It is a separate classification from new or used vehicle dealer licenses, sometimes also referred to as a distributor license. By becoming a wholesale dealer, you obtain the right to sell vehicles to dealers and other wholesalers. In some states, you can also sell to the general public, but this is less common. Typically, if you want to work with direct customers, you’re probably going to need another license as well. 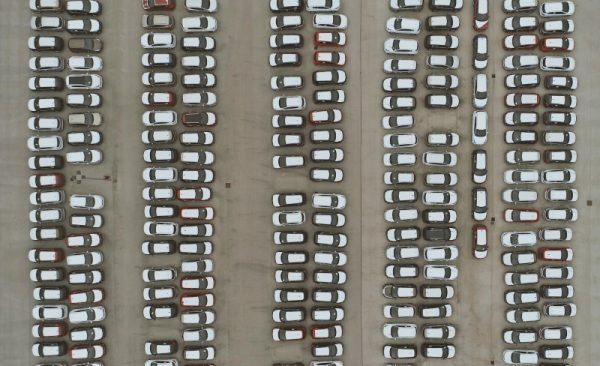 In order to launch a wholesale dealership, you will need to fulfill a list of licensing criteria similar to that of new and used vehicle dealers. It’s likely that you will have to post a higher surety bond and insurance amounts due to the larger volume of vehicles you will be operating with. For a full overview, don’t miss out our How to Get a Wholesale Dealer License guide. 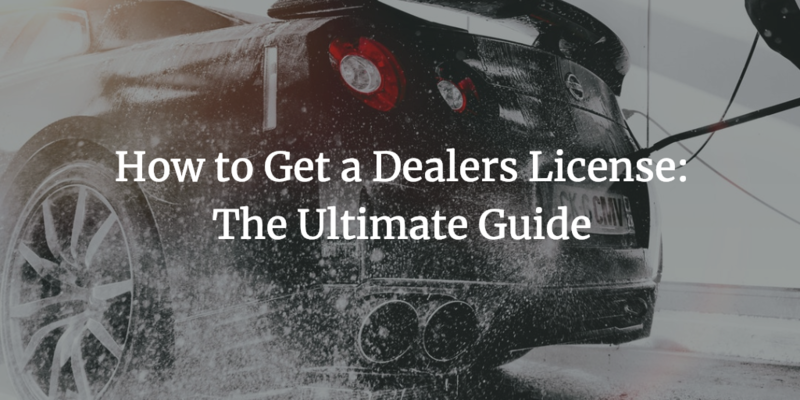 Besides reviewing the general conditions on how to get a dealers license in the U.S., you can also refer to our state-specific guides. We have prepared detailed step-by-step dealer license guides for the states listed below. Have more questions about getting your dealers license and bonding? Our bonding specialists are here to help. You can call us at 877.514.5146.